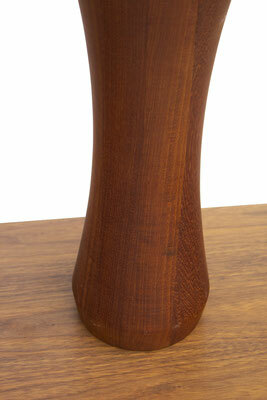 Hand Turned Table Lamp in the style of Rude Osolnik. 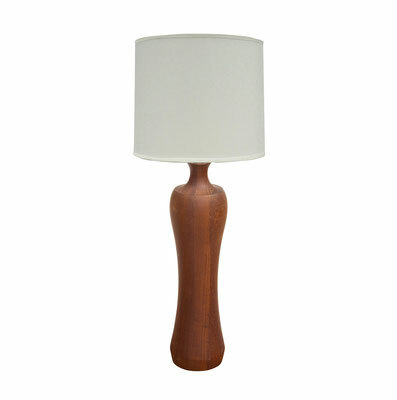 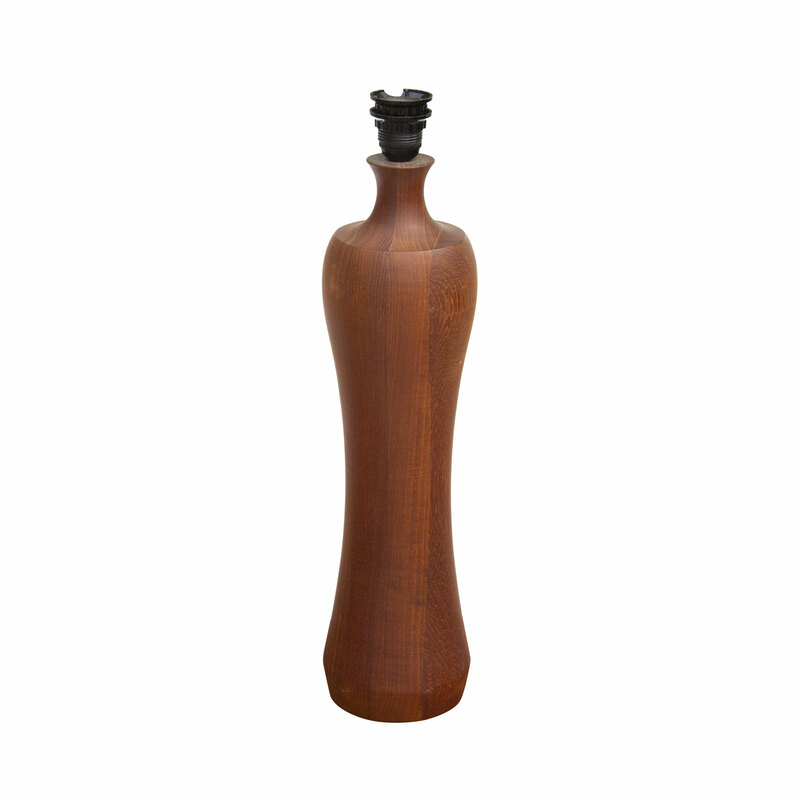 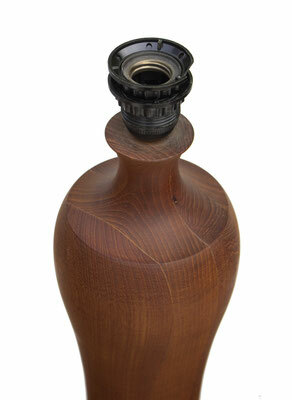 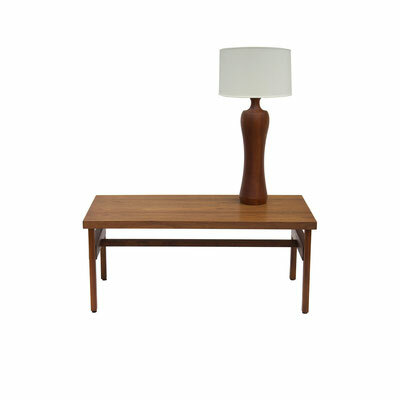 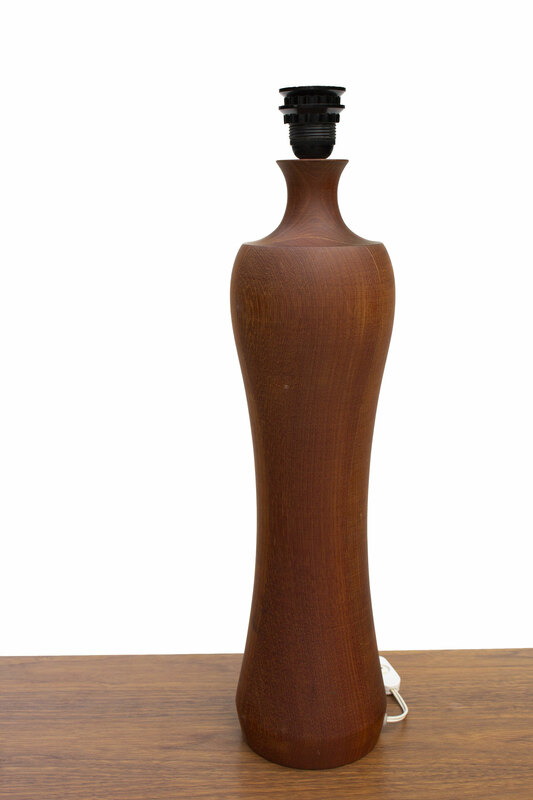 This lamp was hand turned out of solid teak and is very substantial, with nice curved lines. 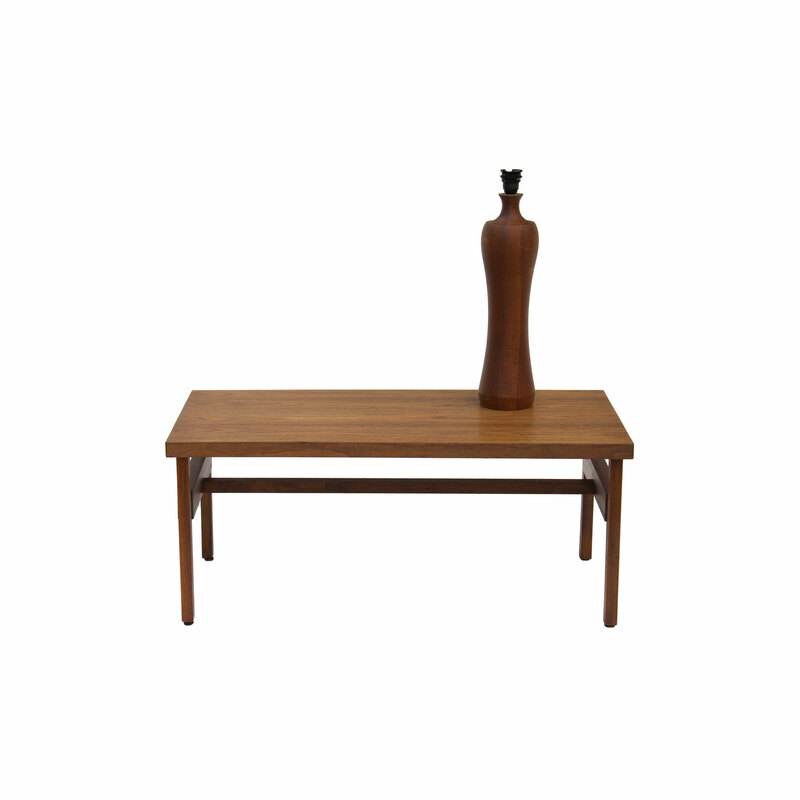 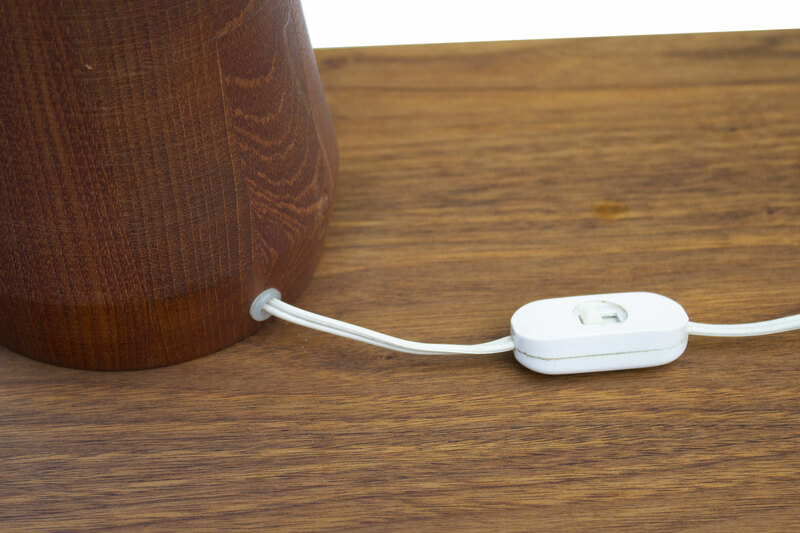 The teak has beautiful warm tones. 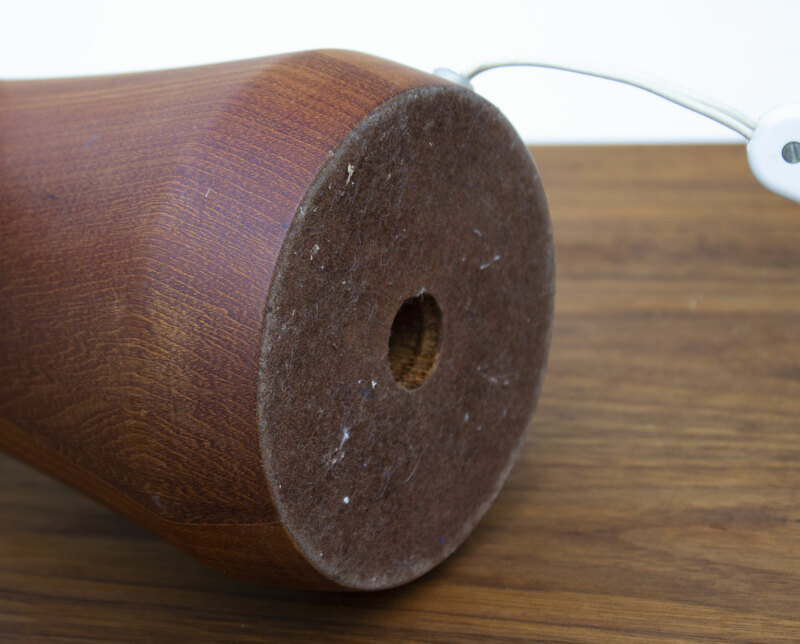 The wiring was done with an uno fitting, so can fit most newer drum shades. Shade pictured is not included. CONDITION NOTES: In very good vintage condition. 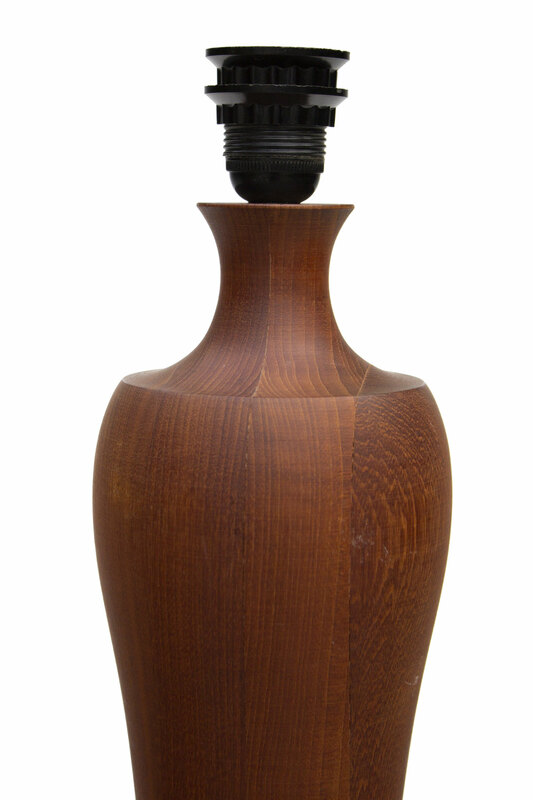 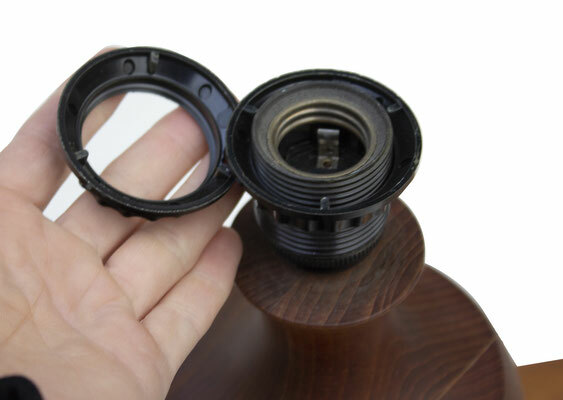 DIMENSIONS: Teak lamp body is 20.75" H; Measures 23" to the top of the socket; 5" Diameter at the base x 5.5" Diameter at the top.